The Public Theater presents the English language premiere of Guillermo Calderon's drama. Associate Artistic Director Mandy Hackett nabs a photo op with Detroit ‘67 playwright Dominique Morisseau and director Kwame Kwei-Armah. 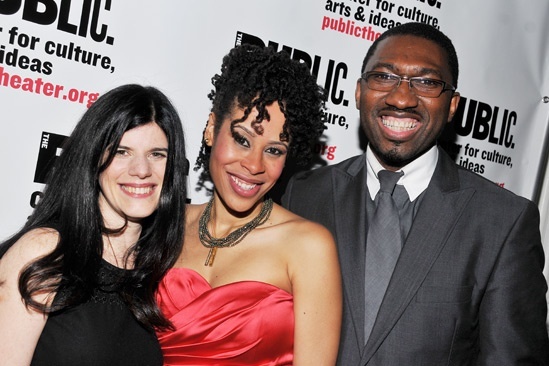 The Public Theater celebrates opening night of Neva and Detroit '67 on March 11, 2013.